BRYAN EATON/Staff Photo. 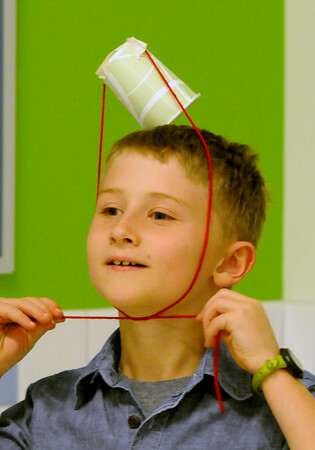 Sean Gasbarro, 8, tries to keep a cup from falling off his head at the Invention Club in the afterschool program at the Bresnahan School in Newburyport. The students were inventing a relay race trying to defy gravity of the different items they designed as they carried them along.